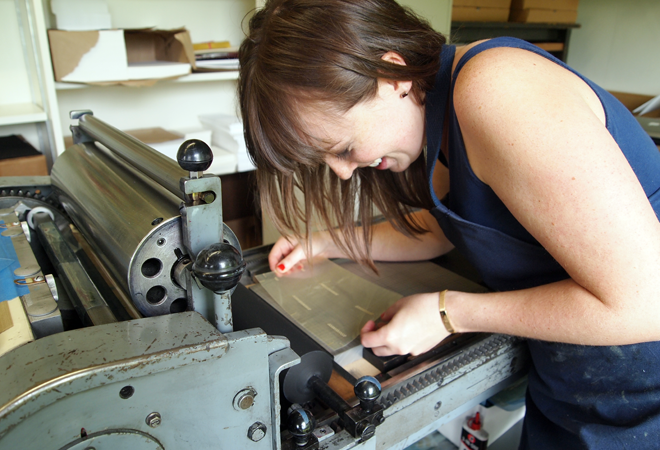 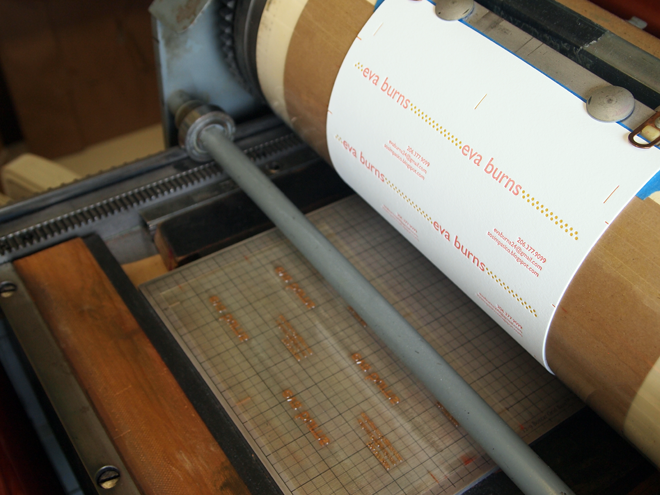 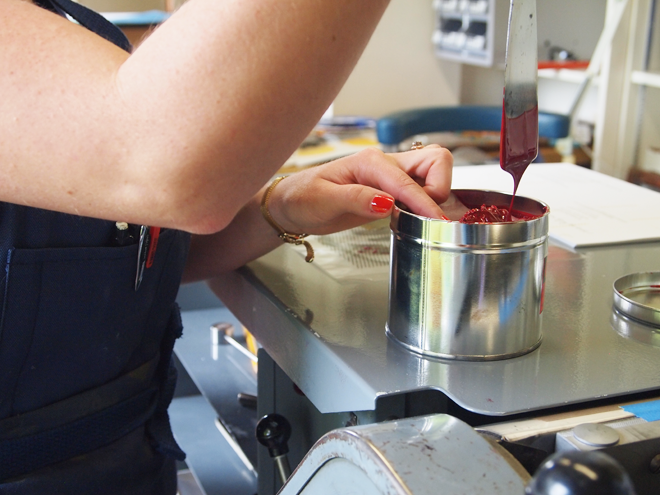 This last week I was given the pleasure of showing/teaching Eva, of So Simpatico, how to letterpress. 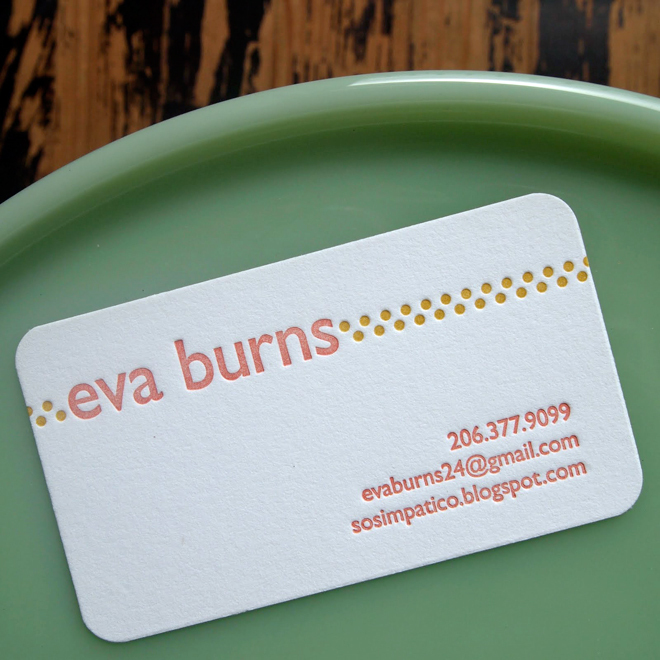 I can proudly say, that Eva learned quickly. 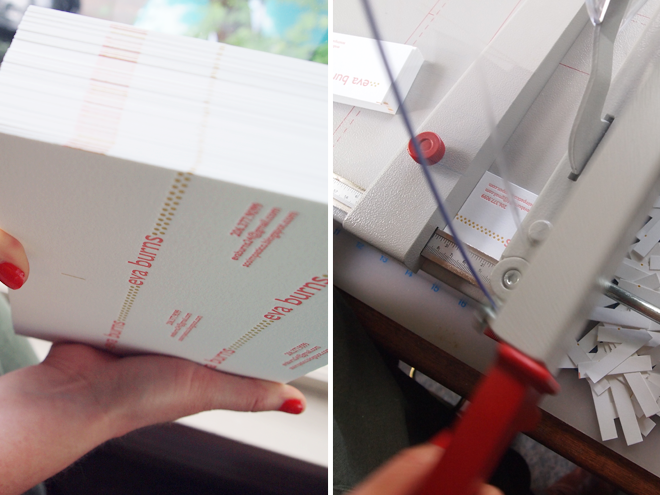 She designed, printed and trimmed her calling cards with ease!